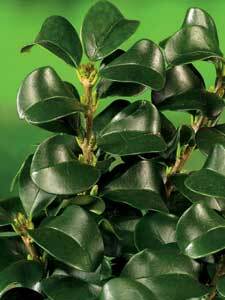 Compact, upright, hardy, evergreen shrub with thick, glossy, rounded, leathery leaves. Bears large panicles of cream flowers in summer, followed by black berries. Excellent hedging and screening plant. Makes an ideal specimen plant in containers.